Call 612-806-2582 or email kristy@thebeezkneezdelivery.com to make an appointment. Are you a beekeeper who needs a space to extract your honey? Want to avoid a sticky mess in your kitchen? We run the one and only pedal-powered honey House in the nation right here in mpls! Our honey house is your kitchen and we will clean for you! Leave wax with us or take it home. Are you a New-bee? Staff onsite will answer questions show you how its done. And, best of all, we will clean your station when you finish!!!! 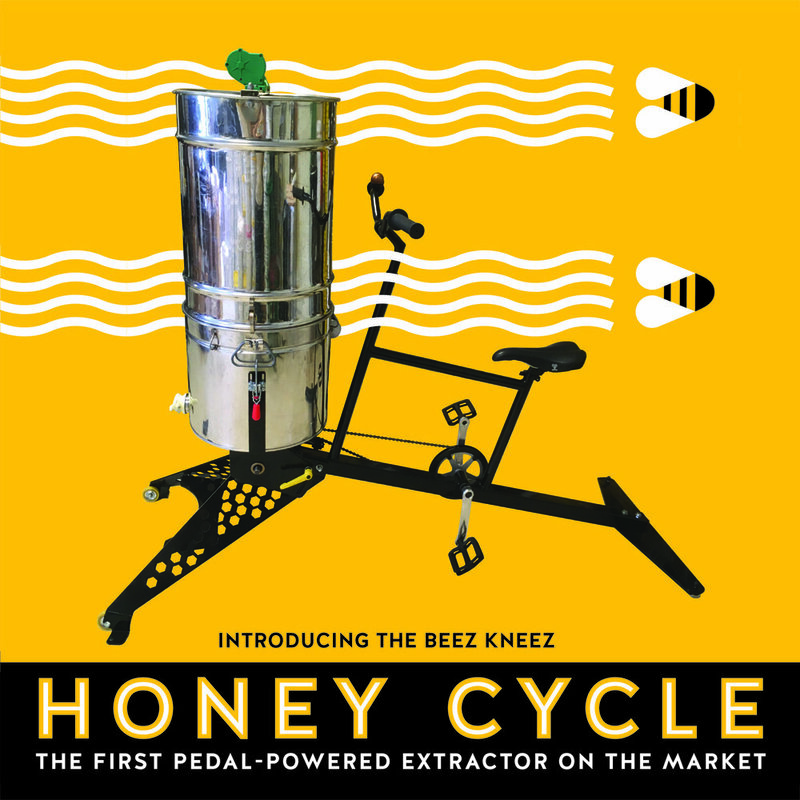 Interested in buying your very own Beez Kneez Honey cycle? Click image below for more info!